Gilly and Sam are opting for super cool, understated city wedding which will culminate in cocktails (and other beverages) at Revolution in Parsonage Gardens Manchester. 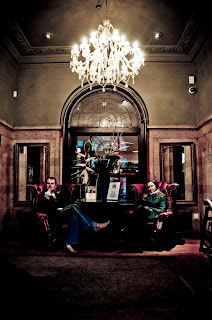 As part of our engagement session, we popped our heads into Revolution and I was struck by this rather magnificent doorway. 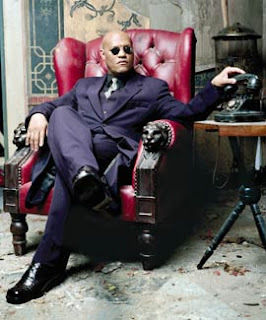 It was Sam who noticed the striking resemblance to Orpheus' furniture of choice, in Matrix reloaded!